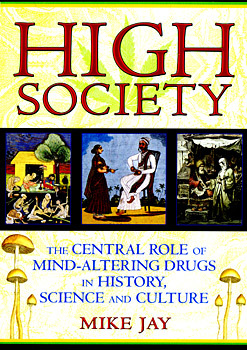 Examines the causes of drug prohibitions a century ago and the current "war on drugs"
Every society is a high society. Every day people drink coffee on European terraces and kava in Pacific villages; chew betel nut in Indonesian markets and coca leaf on Andean mountainsides; swallow ecstasy tablets in the clubs of Amsterdam and opium pills in the deserts of Rajastan; smoke hashish in Himalayan temples and tobacco and marijuana in every nation on earth. Exploring the spectrum of drug use throughout history--from its roots in animal intoxication to its future in designer neurochemicals--High Society paints vivid portraits of the roles drugs play in different cultures as medicines, religious sacraments, status symbols, and coveted trade goods. From the botanicals of the classical world through the mind-bending self-experiments of 18th- and 19th-century scientists to the synthetic molecules that have transformed our understanding of the brain, Mike Jay reveals how drugs such as tobacco, tea, and opium drove the global trade and cultural exchange that created the modern world and examines the forces that led to the prohibition of opium and cocaine a century ago and the "war on drugs" that rages today. Mike Jay is a leading specialist in the study of drugs across history and cultures. The author of Artificial Paradises, Emperors of Dreams, and The Atmosphere of Heaven, his critical writing on drugs has appeared in many publications, including The Guardian, The Telegraph, and The International Journal of Drug Policy. He sits on the editorial board of the addiction journal Drugs and Alcohol Today and on the board of the Transform Drug Policy Foundation. He lives in England.